Newest Vandy vape revolver RTA tank, made of high quality stainless steel and pyrex glass material, 4 fashionable colors available. 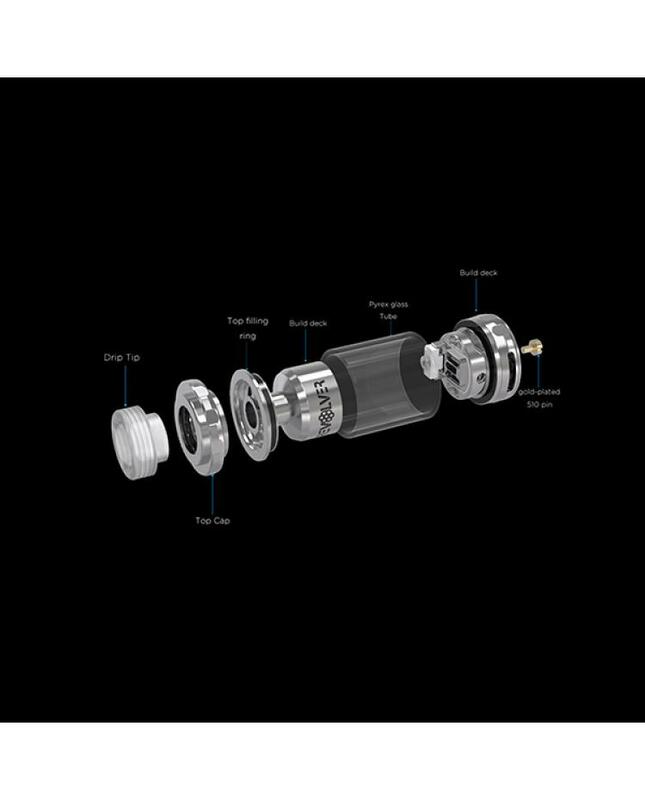 the new vandyvape RTA building in single coil building deck which has innovative adjustable built-in air holes, three different air holes available. vapers can rotate the usual external screw to adjust airflow holes. 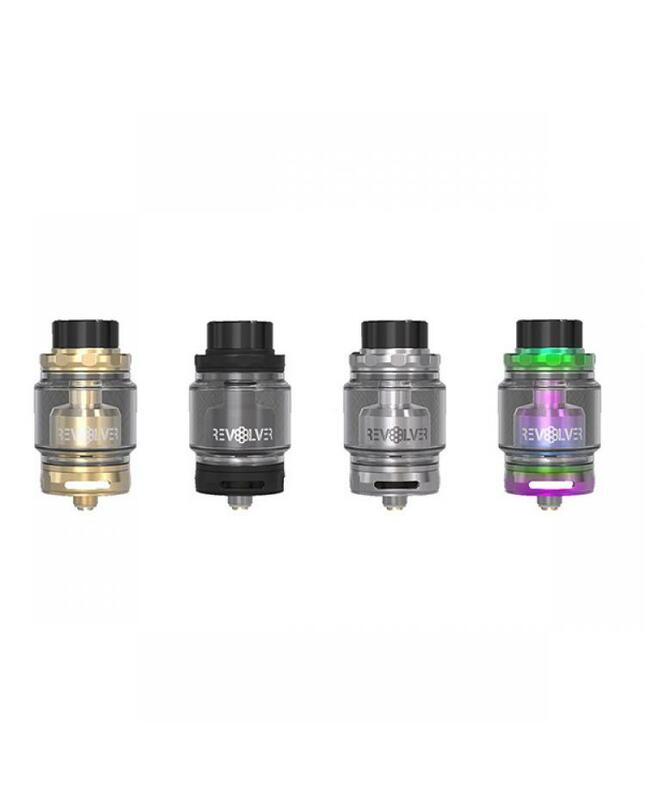 the tank can hold 3ml e juice,2ml with silicone, comes with a 5ml bubble glass tank, which allows it can hold max 5ml e juice. the revolver RTA with bottom airflow control and top refill design. vapers can adjust the airflow to your preference easily and inject the e juice quickly.